For more than 100 years, Nursing professionals interested in taking their careers to the next level have been developing their expertise in case management. They worked hard to assess, plan, implement, coordinate, monitor and evaluate the treatment options available to their patients. The goal was deliver the best possible care to patients with complicated health needs. Up until about 20 years ago, there were no defined criteria for what it meant to be an expert in case management. But as more information about how case management helps lower healthcare costs and improve outcomes, skills and knowledge required to manage patients' social, medical, financial and behavioral needs has become clear. Today, there are more than 37,000 board-certified Case Managers working across the United States. These professionals earned their certification from the Commission for Case Management Certification (CCMC). Others earned their certification from the Case Management Society of America and the American Case Management Association. They work in hospitals, clinics and specialty care centers--and an increasing number of employers are requiring board certification as a condition of employment. 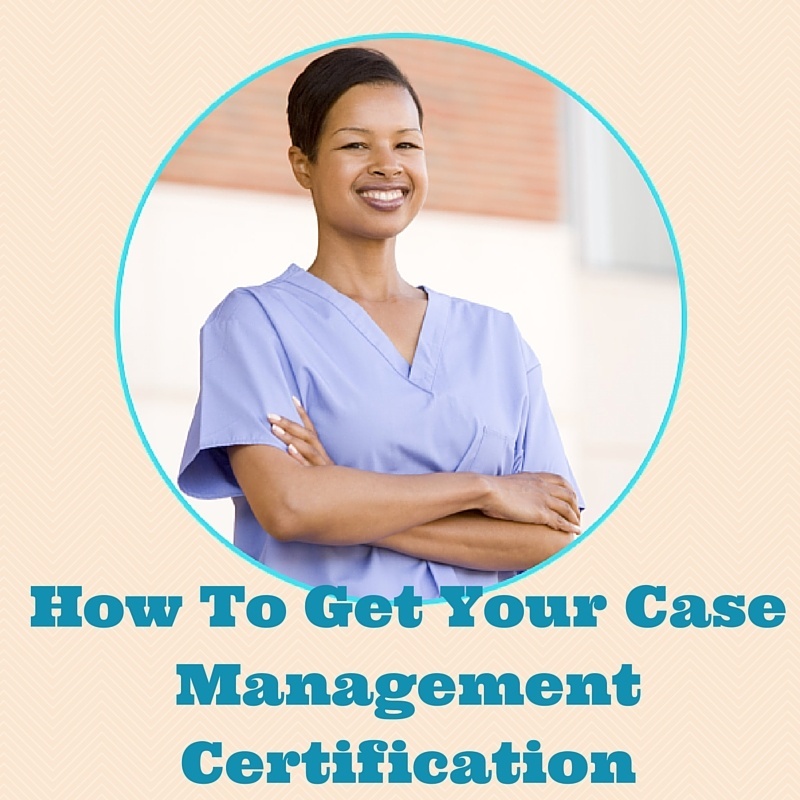 Before a Nurse can become a board-certified case manager, he or she must meet the minimum requirements. For the CCMC, this includes holding current, active and unrestricted licensure or certification in a healthcare or human-services profession. In addition, the position held by the candidate must create opportunities for the employee to conduct independent patient assessments, or the employee must hold a bachelor's degree or graduate-level degree in social work, Nursing or another field directly related to promoting physical, psychosocial or vocational well-being. The candidate for certification must have worked as a case manager for at least 1 year to be considered for certification. Nurses who meet these criteria may apply for approval to sit for the certification exam. Everyone who wishes to become board-certified must pass the certification exam. The exam is "practice-based," which means that every question is based around real-world experience. Topics could include financial issues facing patients and practices, patient rights, healthcare systems, care plans, and much more. One of the bet ways to prepare for the exam is to take practice tests, which are available on the Commission for Case Manager Certification website. In addition, the commission partners with third parties to provide certification workshops. The Case Management Society of America also offers an array of preparation materials, which are available on the organization's website. While it is possible to pass the exam without preparing, It is strongly recommended that anyone interested in achieving certification take steps to prepare for the exam. The certification exam involves a 3 hour test that includes 180 questions. It is presented on a computer and the total amount of time in the exam center is 4 hours, which includes time to get situated as well as a brief tutorial before the test begins. Test takers will need to make sure they are registered for the test, on time and have the proper credentials, which include a government-issued identification card and a confirmation from the testing center. Once the test is complete, everyone who has taken the exam receives a preliminary score at the testing center. While not official, the preliminary score is most often accurate. Those who passed the test will receive formal notification from the organization awarding the certification at a later date. Those who did not pass the test are eligible to re-take the exam during the next available testing date. A list of exam schedules is available on the Commission for Case Manager Certification website, the American Case Management Association website and the American Case Management Association website. Becoming board certified is a great way for Nurses to distinguish themselves as professionals who consistently deliver high-quality care, safe environments for patients, efficiency for their employers and the best possible service to both patients and the practices for which they work. It indicates a commitment to consumer protection, ethical standards and behavior, and scientific and practice-based care for patients across the continuum of care.